Vietnam has been governed by the CPV, or Communist Party of Vietnam, since 1975. At the narrowest point, Vietnam spans only 24 miles wide. Vietnam is home to six of the world's Biosphere Reserves. Phong thuy, or Feng Shui, the art of existing in tune with the surrounding environment, plays a central role in the lives of Vietnamese people, and is calculated by a professional called a geomancer. Vietnam lies on the east side of the Indochinese peninsula, bordering the South China Sea. It also borders Laos and Cambodia and is home to dozens of magnificent beaches on the South China Sea and Pacific Ocean. Vietnam offers favorable tourist infrastructure and several options for traveling between north and south. 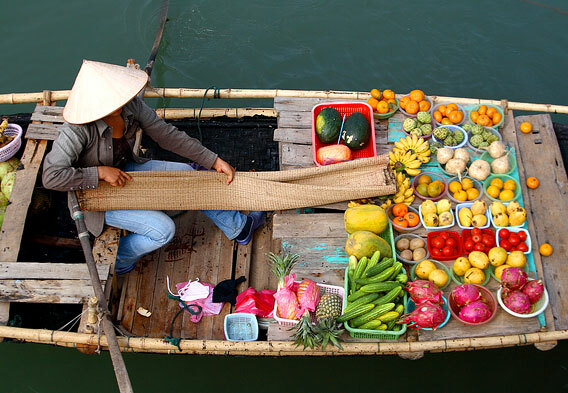 While the country’s natural attractions are major draws, cities such as Hanoi and Ho Chi Minh City are the locations of many important museums, local markets, and traditional puppet theaters. Ho Chi Minh City is home to the illustrious Jade Emperor Pagoda, or Tortoise Pagoda, which has incredibly intricate hand-carvings and was built in 1909 by the Cantonese community. This country is filled with attractions that visitors are sure to enjoy. One of the most popular, Halong Bay is located in the north, almost at the Chinese border. Vietnam’s largest attractions are focused around the country’s natural beauty and history. Nha Trang on the southeast border is a major seaside and scuba diving destination. Nearby is the historic fishing village of Hoi An, an international port where local shops, architecture, and restaurants prove worthy of a stop. Other regional attractions include key beach areas such as the quiet island of Phu Quoc and Mui Ne. 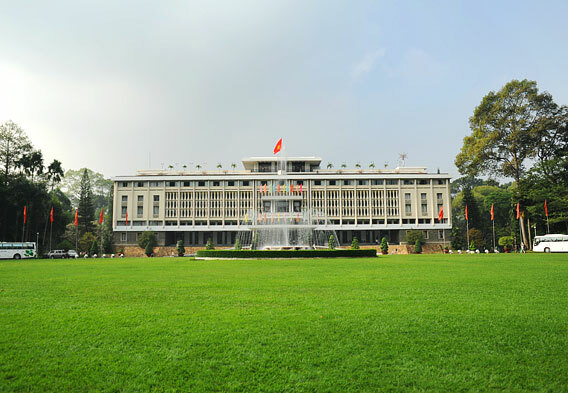 Reunification Palace was also known as Independence Palace before Saigon was taken by communists and is best known as the site of the end of the Vietnam War. On April 30, 1975, tanks barreled in through the palace’s main gate to General Nguyen Van Thieu, the head of the military junta that took power after the assassination of South Vietnam’s initial president. Today, this Ho Chi Minh City attraction is must-see, standing unchanged from its original state in 1970. Free tours include a look at the presidential office, command bunker, courtyard, and many old photographs depicting the era. Cho Binh Tay Market is in Old Saigon, and is the main District 6 market in Cho Lon area which is essentially Ho Chi Minh’s Chinatown. It is a major financial center presenting an elegant backdrop of French-styled architecture. Vietnamese cultural is ripe here at every turn; locals playing cards, ancient Chinese-built pagodas, herbal shops, and other local sights are all around. 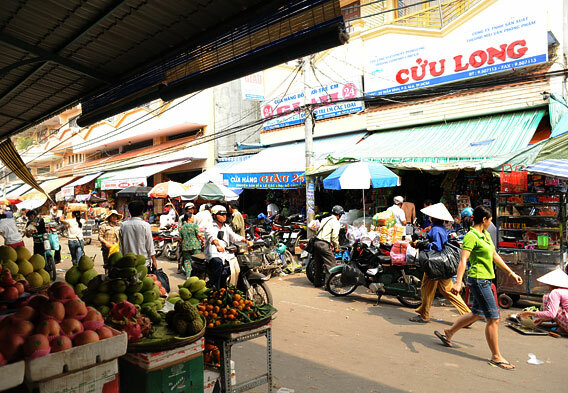 The market offers local foods and handicrafts. The aroma of the entire market is absorbing, thick with the smell of local cuisine mixed with incense. The lush and rich Mekong Delta, also in the southern region, presents ample opportunity for exploring the river, riverside villages, and picturesque landscape of Vietnam. Floating markets, rural scenery, and interaction with families, farmers and fishermen are unforgettable amid the maze of tributaries. River cruises aboard elaborate boats are the most popular way to tour the Mekong. Day trips, overnight trips, and cruises over several days are options.